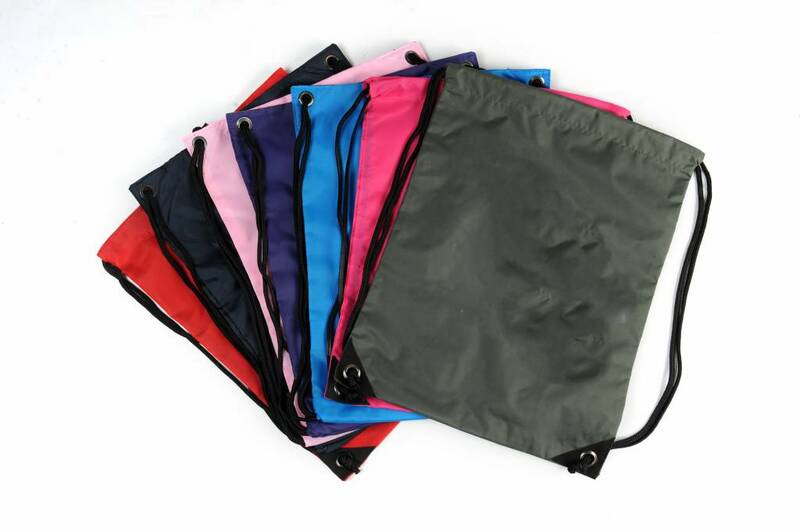 This practical gym bag is made of water-repellent? ?210D nylon and easy to clean. 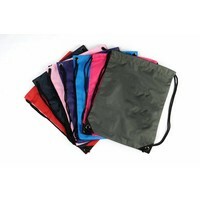 The gym bag has reinforced corners and a black drawstring. 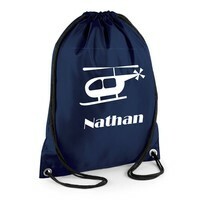 The helicopter image will be printed in white. 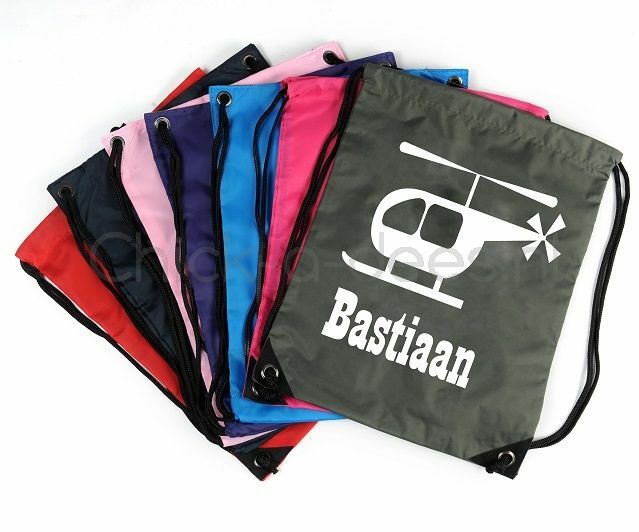 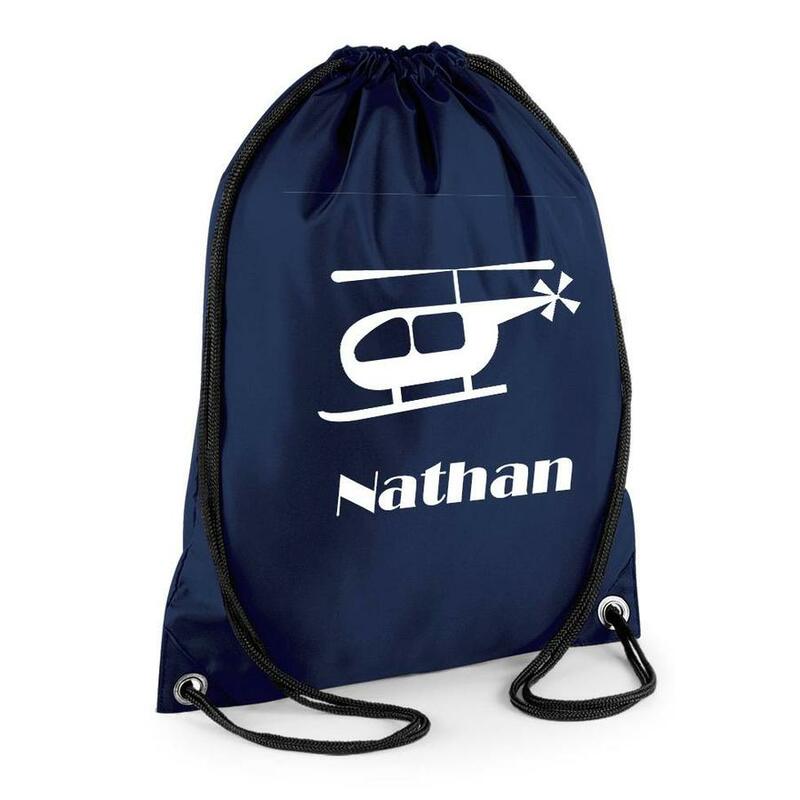 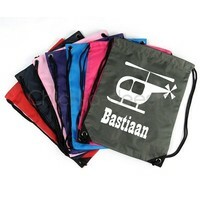 This drawstring backpack is perfect for school, swimming lessons, sports, holidays or school camp.